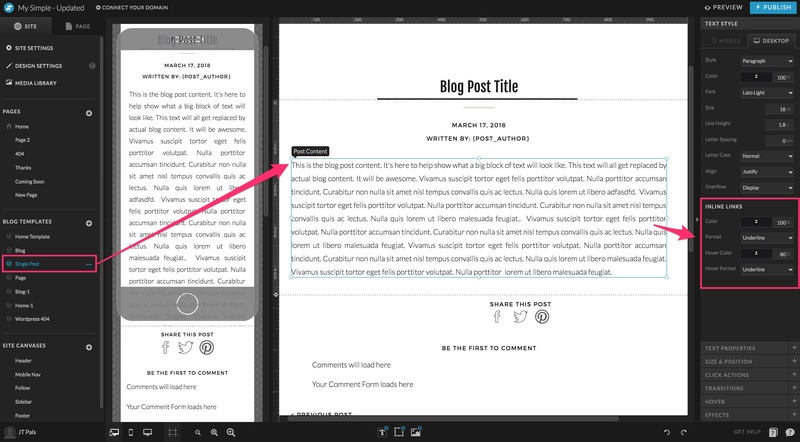 You can adjust the standard formatting for links in the body of a blog post by making an adjustment to your Single Post blog template in Showit. Select the Single Post template page in your pages list. Select the Post Content placeholder in the page design. This would be the text box placeholder for where the blog post content appears in the layout. Under the Text Style settings, you can adjust the Inline Links formatting.